Before a hunter goes hunting, it is usually a good idea to scout the game first to make sure about the relative location and the surrounding. That way, you will be more prepared and you’ll know where to go when you go for the real hunting. Hence, scouting becomes an important part of hunting. For this task, you need some rugged and reliable game cameras. Don’t worry! If you are on a tight budget, you should go with Moultrie A5. It is an extremely affordable game camera – attainable very much under a hundred bucks, cheaper than all of its competitors. 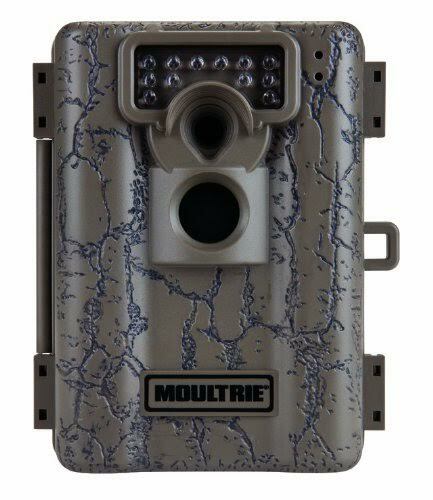 Even so, Moultrie A5 is truly functional, rugged, and durable. No wonder that Moultrie A5 becomes one of the best-selling game camera models! The housing is highly rugged and durable. Moultrie A5 can withstand all kinds of environmental abuse. It can perform in rain, snow, and storm. The inside is completely sealed to ensure maximum durability in all conditions. However, the front cover fully opens from top to bottom, exposing not only the batteries and controls but also the prone lens, sensors, and lights. While this is not a very big issue, there is still the risk of damage to the delicate parts due to the cover fully opening. Nevertheless, Moultrie A5 has integrated loops that make mounting very easy. The battery life is excellent. It runs on four C-cell batteries. With a set of them, it can shoot over 8,000 images. For storage, there is an SD memory card slot that supports up to 32 GB capacity. Check the best price of Moultrie A5 here!